No life/work/ministry credits will be accepted. Transfer credits from approved theological institutions will be evaluated. 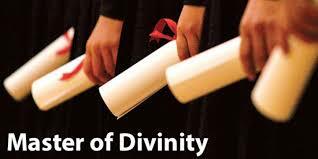 Prerequisites: Bachelor’s Degree from an approved theological institution. Hours required over the track are made up of prerequisites and electives. 1. Enhances the ability to understand and make use of the basic documents of faith, i.e., Scripture, creeds and traditions of the church. 2. Enhances the ability to think theologically through familiarity with methods and content of Christian thought. 3. Enhances the ability to communicate clearly through preaching, teaching, and writing. It provides leadership and counsel in the service of the church. 4. Enhances the ability to understand in theological terms, the sociological, ideological, and political aspects of the cultures in which the church ministers. 5. Enhances the ability to practice ministry in an appropriate style. Revitalizes teachers and Bible study leaders with effective communication techniques. Offers plans for gaining high performance form low achievers. Shows the teacher techniques that causes students to remember three times more than normal. The title, Basics of Christian Education, may give the connotations of a introductory course, but as the student progresses through the course an enormous amount of valuable information surfaces. Refer to the Master’s thesis guidelines by clicking here.